When was the last time you binged watched your favorite TV show? Or the last time you went out to dinner and didn’t check your phone? Chances are you can’t remember! It’s ok - being work-focused and career-driven are good things, but not always. You will see exactly why that is and hopefully be encouraged to take that extra day off that you deserve! 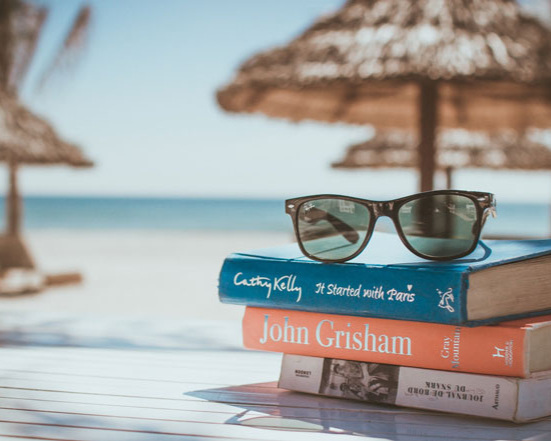 A glassdoor survey shows that the average U.S. employee (of those eligible for vacation) only take around half of what they are entitled to, and two in three employees reported that they actually worked whilst on vacation. Also, did you know that the United States is the only country (out of 37) in the Organisation for Economic Co-operation and Development that does not mandate paid vacation? These facts and figures may not come as a shock to you, but they really should, even with scientists saying you almost certainly need more rest that you’re currently getting. So why is it that Americans are so reluctant to take time off? Many view vacation time and days off as an indulgence. Think how guilty we feel when we indulge in that third slice of Mom’s best homemade pie. That third slice represents your day off; taking it feels good but wrong, and you know you’re going to kick yourself over all the extra work you’ll have to catch up on (or all the extra calories you’ve consumed!) the next day. When you feel tired and stressed, do you power through to try to impress others so that you don’t appear weak? This is understandable, but it is extremely counterproductive. People who never take time off are short-term focused and maintaining this motivation with little vacation time is not sustainable. Give those poor little brain cells a rest and cut yourself some slack for a break! Here’s a reminder of the refuelling principle: you get more done quicker when you step back and recharge the brain and body. His insightful scientific research on this topic can be viewed in his book, Elastic. There are many reasons as to why we need time off, and plenty of other research that consistently shows taking downtime is crucial to a healthy work-life balance. Improves job satisfaction, employers encouraging time off increases employee retention as they will have improved moods and positivity. Builds a more collaborative work environment and promotes team cross-functionality, where teams work together and take on other tasks of those on vacation. Reduces stress and improves concentration and productivity on returning to work. This could be in the form of innovative thinking and creativity. Here’s another great tip: mindfulness and practicing self-care is a great way to manage stress. You are a healthier person. If you don’t take time off, you risk burning out which can make you more susceptible to illness. Gives you the chance to improve relationships with loved ones and create a more healthy work-life balance. Think back to that refreshed feeling when you take only a few minutes away from your desk, and imagine what a whole day or week could do for your productivity. What should you do with your days off to achieve these benefits? It goes without saying that a week in the Caribbean loading up on “vitamin sea” or a fitness retreat in California will almost certainly allow you to de-stress in the most glamorous way possible. However, there are other simple things that can benefit you in the same way that you will have probably overlooked. Read your favorite book; when was the last time you finished one? Don’t forget, you will only achieve full benefits if you do not check your phone and remain disconnected from work. You must completely unplug and embrace fully the benefits of doing so! As a final note, it’s good to remember that your job does not define you. Modern day life pushes you to identify yourself with your work, but it’s your family, friends, hobbies and passions that also help to make you who you are. You must not neglect these things, while also taking some time off and focusing on yourself. As a result, you will generally be a happier and better person, both in your work and home life. You work best when you... drink celery juice?